Four Sigmatic, the cult adaptogen company taking the wellness world by storm, has launched a new category with a twist. Four Sigmatic recently released their first skincare products, and get this, they’re so pure and clean you can actually eat them. Yes, that’s right - this skincare is fully ingestible. Beyond being safe to taste, the products actually have incredible benefits whether you consume them or slather them on your face! 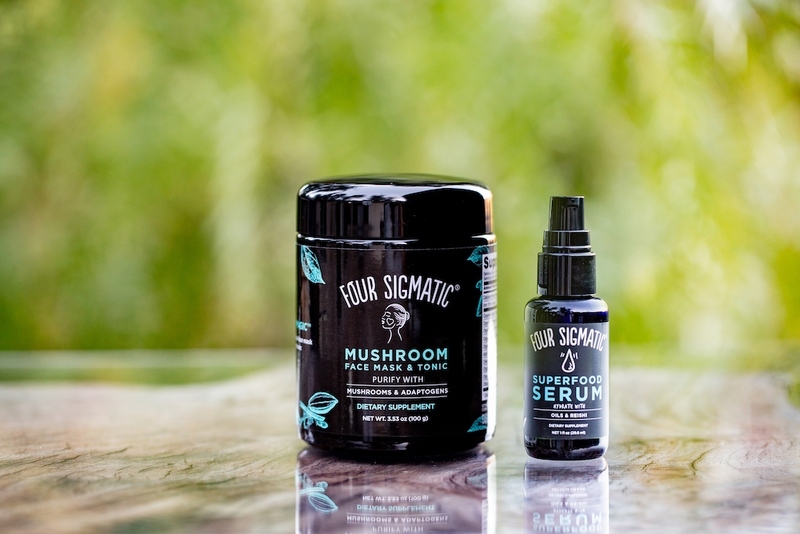 Four Sigmatic skincare is formulated for topical and edible benefits. So many skincare companies taut that they use food-grade ingredients in their products, but still contain plastics such as parabens and silicones. Four Sigmatic's skincare is more than just food-grade, it is food! It contains no plastics, water, fillers; only organic ingredients. It is also vegan and is never tested on animals. 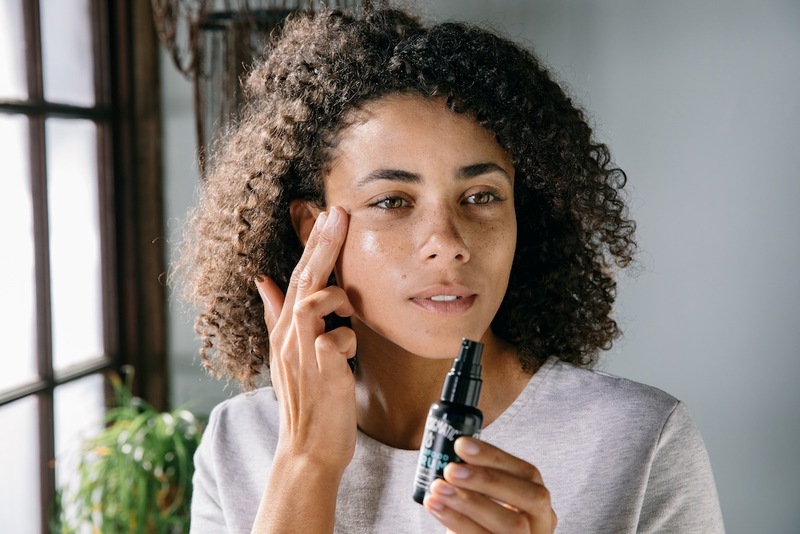 The brand launched with incredible products like the Mushroom Face Mask & Tonic, which contains calming and antioxidant mushrooms, reishi and chaga, as well other powerful ingredients such as activated charcoal, panax ginseng root, and gotu kola root. The mask clears pores, smoothes fine lines, hydrates skin, and reduces redness, while the tonic provides detox support, sleep and stress rescue, and antioxidant properties. You can apply mask 2-3 times a week, any time of day. You can drink the tonic daily for stress management by simply mixing in hot water, preferably on an empty stomach. The incredible Superfood Serum also contains reishi mushroom, in addition to hydrating avocado, olive, and tsubaki seed oil. Ingredients such as grapefruit peel and frankincense oil help to fight breakouts by minimizing excess oil. The serum can be applied twice daily after cleansing and toning or you can take as a supplement, 4 drops by mouth daily. The serum fights fine lines, redness and dryness and the dietary supplement provides wellness support. Visit foursigmatic.com to learn more.